Many of our projects come to us via recommendation. On one street alone we have carried out 36 Loft Conversions. This shows clearly that we have been successful in our work & that we are committed to giving our customers a great service & experience. In the unlikely event that something needs looking at after we have completed the work, we’ll pop back to have a look and put it right. Our service is to give you the best loft conversion speedily built and to the highest of quality, for a competitive price and to make the process as painless as possible. Probably the most common loft conversions happen on these types of houses. Check the options here and you will find something similar. 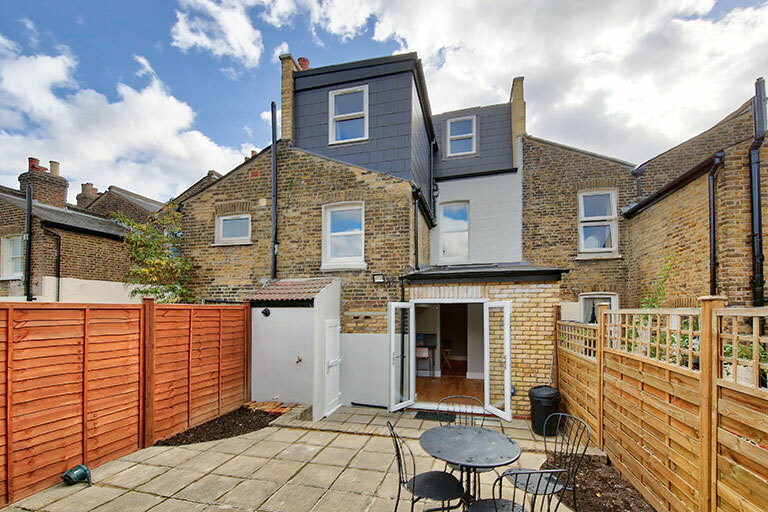 Some end-of-terrace conversions are the same as if a house were mid-terrace, some are gable ended and some have the sloping hip end. This period of property is one of the most commonly worked on through out year, and we have many examples for you to view. If you live in a conservation area, the council may not allow you to have a rear dormer, but they will let you have a mansard or a combination of Velux roof windows and small dormers. We chose to go with South London Lofts due to their credibility and reputation that they had in and around my surrounding area. The work was of high standard, was completed in budget (no hidden surprises), and on time. The after service care has been impeccable as well. I would highly recommend using SLL.